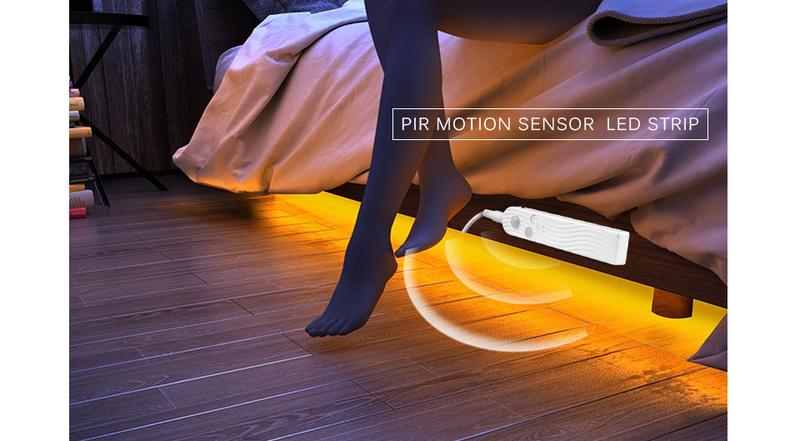 If you ever have stumbled around in the dark, maybe hit your toe on a piece of furniture or two, then let this Motion Sensor LED Light Strip be your guide. 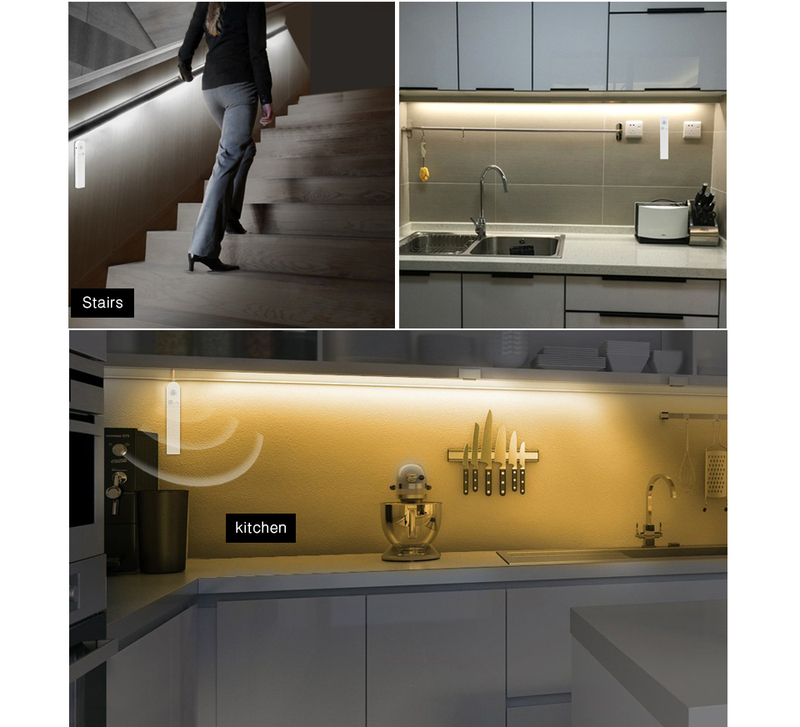 Featuring an auto motion sensor, these lights will automatically turn on and illuminate your path. 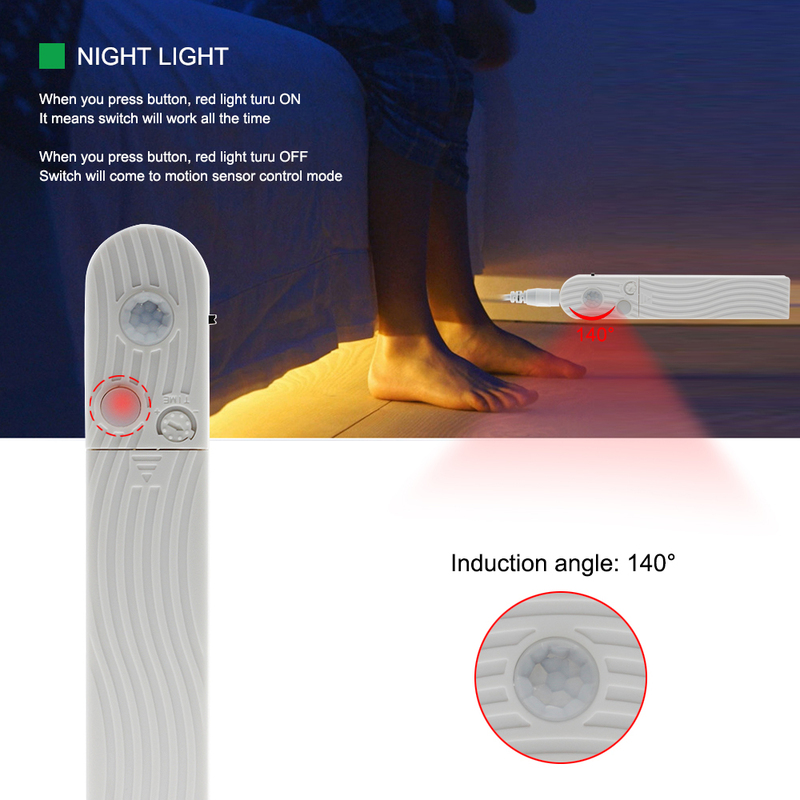 Perfect for late night trips to the kitchen, bathroom or any area where you might want to save energy, and save yourself from walking around in the dark. 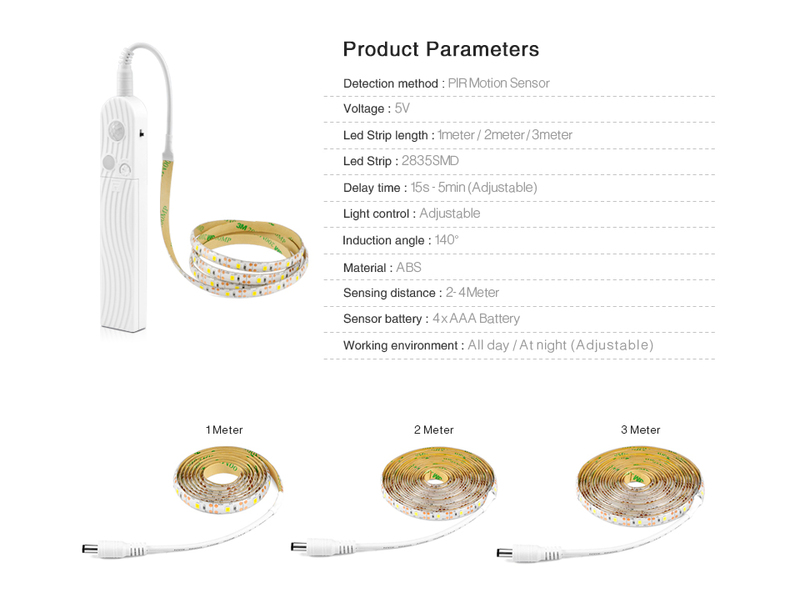 PIR Motion sensor - measures infrared light radiating from objects in its field of view and activates upon detection. 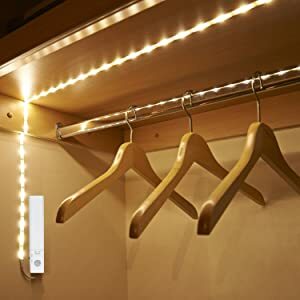 When you open your closet or cabinet, the motion activated light will light up automatically so you can find anything you want in the dark. 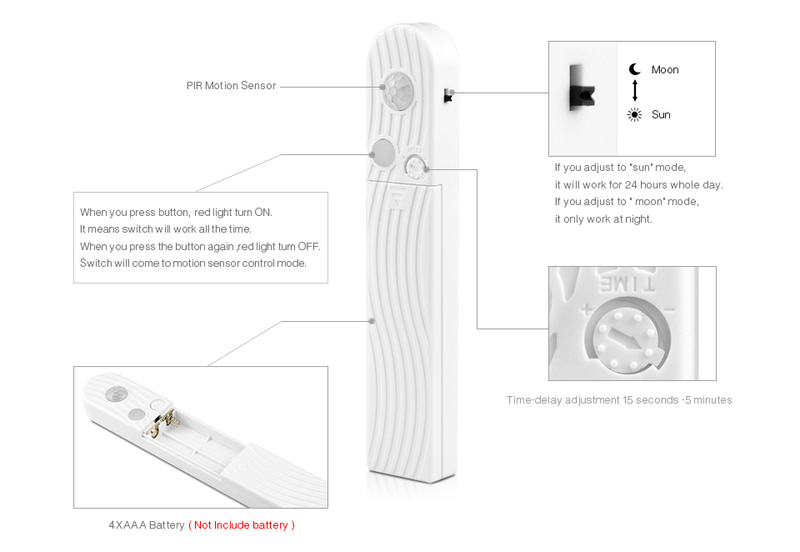 With the Motion activated sensor, it will light up anytime you step in bathroom, or kitchen in the dark. 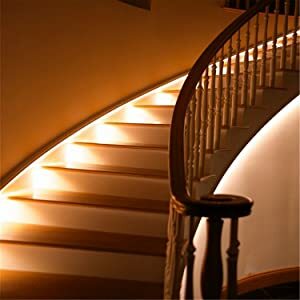 The Motion Sensor LED Light will turn on automatically to guide you safely across the room and stairs in the dark. 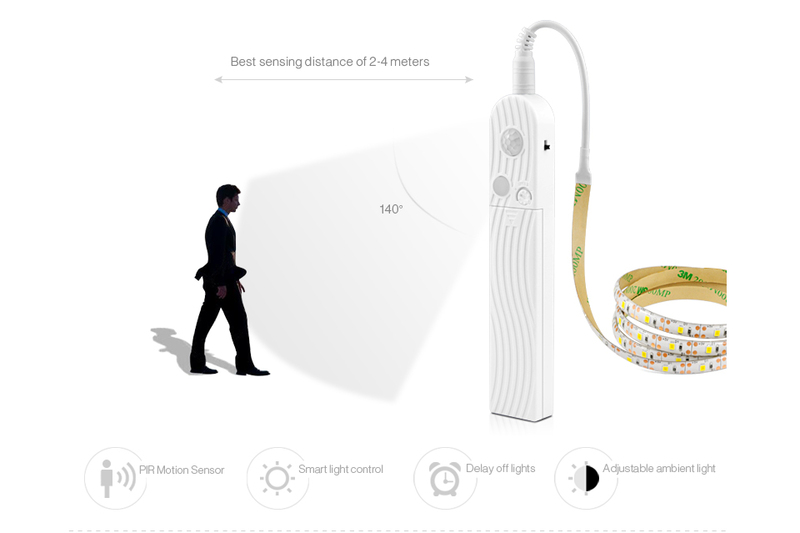 No more blindly wandering around at night. Q: Where can you use this? Is it only for under the bed or closet? A: You can use it almost anywhere! Recommended indoors and common applications for our customers have been bedrooms, closets/pantry, hallways, stairs and garages. Q: Does the light automatically shut off? 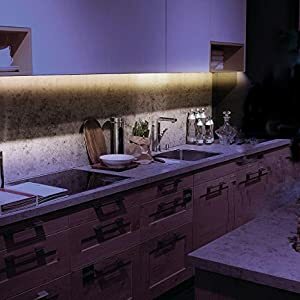 A: Yes part of the technology of this led strip light is that it will activate when it senses motion and will shut off after 15 seconds to 5 minutes depending on your preference. Q: Are the lights bright? A: Yes the lights can be bright so it is recommended to not place them in an area where it would directly shine in anyone's eyes.